With so many kinds of roofing materials now available to homeowners, it can be tough to decide which one is right for you. But there's a reason why asphalt roofing has remained the industry standard for over a century. Roofing trends may come and go, and each kind of material has its own advantages. But there's nothing quite so enduring, preferable, and readily available as the asphalt shingle. In today's post, we'll take a look at some of the basics pertaining to asphalt roof installation and the benefits of choosing this roofing material for your home. One of the first things you should know is that there are two varieties of asphalt shingles. Fiberglass shingles consist of a fiberglass base mat that's covered with a waterproof coating of asphalt and a separate ceramic layer that blocks UV rays. Ultimately, this type of shingle actually requires less actual asphalt, but it's every bit as strong and durable while being more lightweight. Although they haven't been around as long, they're typically the top choice because they're thinner, lighter, more fire-resistant, and carry a longer warranty. While they may sound more cutting-edge, organic shingles have actually been around for a longer period. The mat of these shingles is made from recycled felt that's been saturated and coated in asphalt (which makes them water-resistant). They actually contain significantly more asphalt than the fiberglass version, which makes them thicker and heavier. They're also a bit more expensive and a bit more flexible. Although their name sounds eco-friendly, they're actually less so than fiberglass options. Once you choose the variety of shingle you want your roofing company to install, you'll also need to decide on whether you want a three-tab shingle or a dimensional shingle for your asphalt roof installation. You can spot a three-tab shingle by its appearance, which looks as if it's made up of three separate pieces. Actually, it's one cohesive piece with cut-outs on the lower edge. These shingles are pretty traditional but continue to be the most popular due to their lower cost. Dimensional shingles, also known as architectural shingles, don't have cut-outs like three-tabs do. Instead, they have a laminated, dimensional appearance that offers additional waterproofing and a pleasing, contoured look. That said, they aren't appropriate choices for every roof; roofs with lower slopes won't do well with this kind of shingle. Now that you know a bit more about the makeup of asphalt roofing, we can talk about the benefits. While there are pros and cons to any roofing system out there on the market, an asphalt roof is one of the most dependable and cost-effective options at your disposal. Plus, it will never let you down in terms of style. Below, we'll explain these advantages in-depth. Style: There was a time when asphalt shingles stuck out like a sore thumb. But that's no longer the case. These shingles can now be made to replicate the look of other popular roofing options like slate, tile, or wood shake. They can also be produced in a wide variety of colors to help homeowners achieve the exact look they're after. That means you won't have to sacrifice on aesthetics. Cost: Undoubtedly, one of the big benefits of asphalt is that this roofing type is affordable. While costs can vary depending on location, experts agree that it remains the least expensive roofing option out there. That might explain why asphalt is also still the most popular roofing option in the country. And because this material is readily available, you won't have to pay more to get these great results. Durability: While there may be roofing types with longer lifespans, asphalt roofs have been known to last for up to 30 years. Keep in mind that climate and upkeep will play a part in how long your roof lasts and that asphalt roof repairs may be necessary at some point. Still, properly installed asphalt roofing can last for several decades before replacement is necessary. 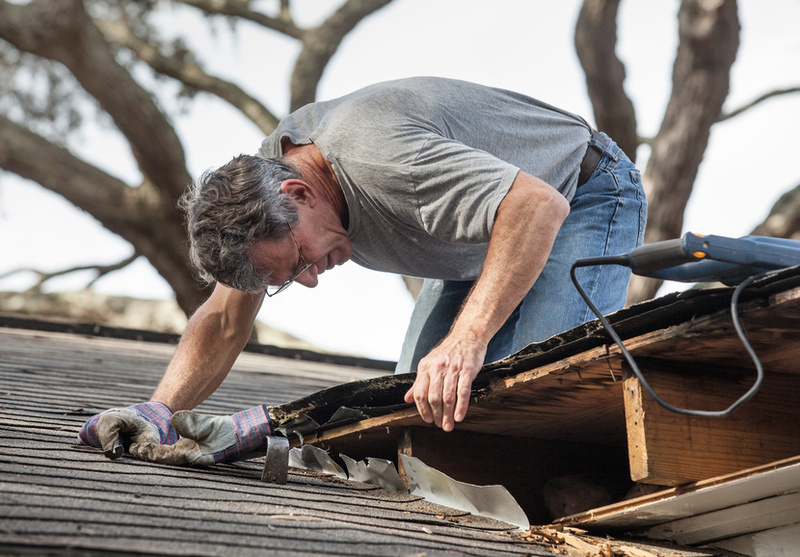 Ready to replace your roof? We're here to help. 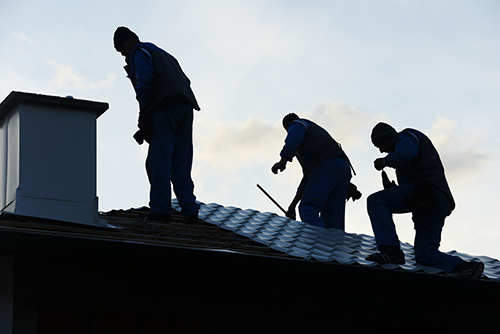 To find out more about asphalt roofing and other options, please contact us today.